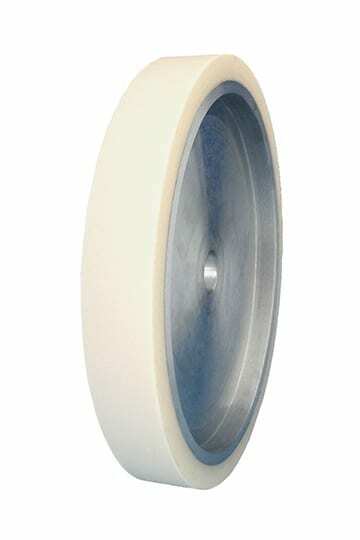 As the name indicates, the aluminium hub of the contact wheel FAPI-VU SMOOTH is coated with a coating of a smooth lamellae of foamed up Vulkollan®. The coating height can be varied depending on the application. 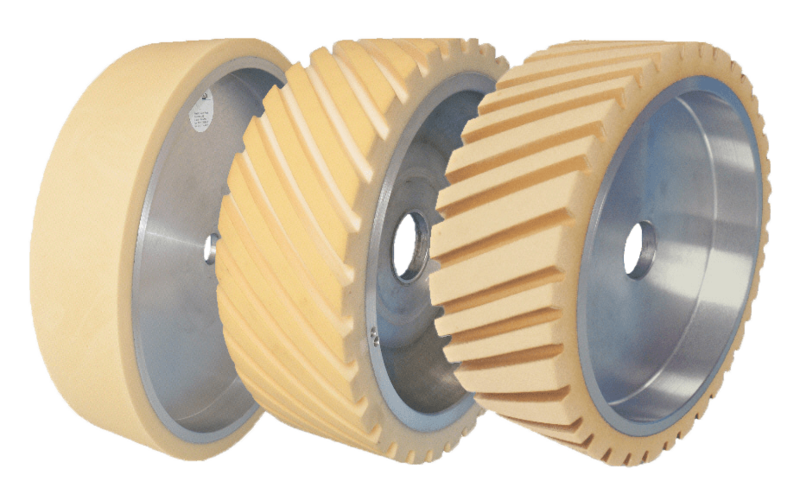 The contact wheels of the FAPI-VU – series are only coated with a lamellae of foamed up Vulkollan®. Lamellae of foamed up Vulkollan® is cellular Vulkollan®, a polyurethane foamed with water which has very high dynamic properties. Lamellae of foamed up Vulkollan® can be identified by its slightly yellowish colour. Contact wheels of the FAPI-VU SMOOTH are especially suitable for achieving a fine finish on (heavily) rounded and profiled parts. In addition, there is almost no fatiguing of the contact wheel when used correctly, even after long and intensive use. Kontaktscheiben FAPI-VU GLATT sind besonders für einen feinen Schliff an (stark) verrundeten und profilierten Teilen geeignet. Zudem treten bei der Kontaktscheibe bei ordnungsgemäßer Anwendung auch nach langem, intensivem Einsatz fast keine Ermüdungserscheinungen auf.